Scilla sp | What's Blooming at D.O. 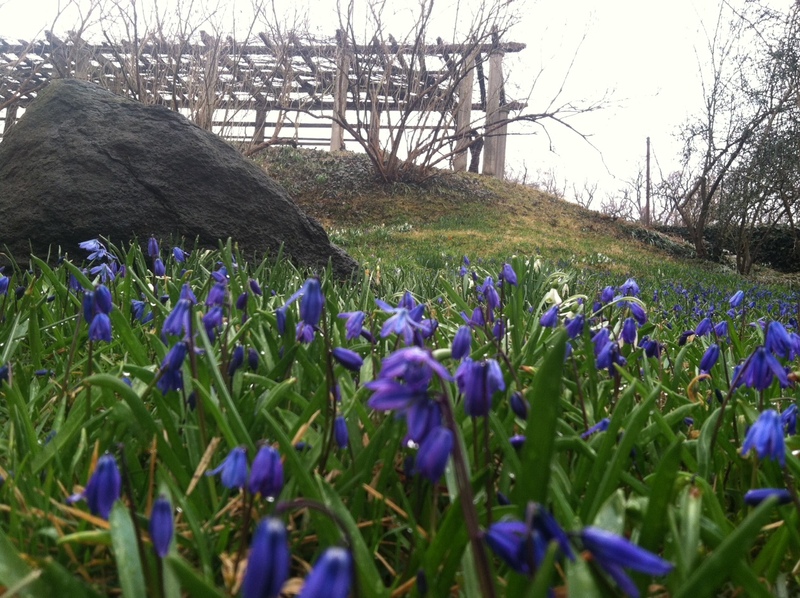 Are Spanish bluebells and Siberian squill the same thing? I was just at the gardens. So pretty. No, they are not the same thing. Thank you for visiting. Is that a lovely pile of manure in the background? I’m sure the scillas will find it most invigorating! It is actually a rock, that happens to look very dark with the afternoon light.